The Credit One Cash Back Rewards card let's you have your cake and eat it too! The rare combo of credit-building potential plus rewards makes it a great card for anyone with "Poor" credit or no credit. In the world of “bad credit” credit cards, very few have enticing offers to make you feel like a valued shopper. Instead, most credit card issuers for this group want to treat you more like you are on financial probation, with strict rules on how you can qualify for the card and spend. Then there’s Credit One, the issuer that offers a small cashback rewards program for shoppers looking to build credit. If you don’t know what to make of Credit One, that’s fair. This review should help clear things up for you. The Credit One Cash Back card offers a cashback rewards programs for unlikely candidates, those with “Poor” credit or no credit at all. It offers modest, lower-than-average cashback rewards on all purchases. That’s still better than most cards out there for this group, so what’s the catch? Unfortunately, a common theme among cards of this type is a confusing lack of transparency in terms and conditions. Failure to offer up information on the front end of researching this card makes it difficult for people to know certain things (such as what fee to expect) before they apply. Even things traditionally expected from card issuers, like a grace period on payments, aren’t entirely clear. Whether or not the points system will be rewarding depends on the fee and how much you spend on the card. 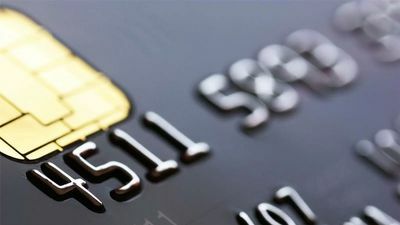 If you’re trying to build credit, you may want to stick to only a small amount charged to the card each month, which may make it difficult to get enough points to pay for the fee. That said, this card is beneficial for people with “Poor” credit or no credit when used properly. If you make a little extra in cashback rewards, consider that the cherry on top! Click the button below to go to Credit One Bank's website. This content is not provided by Credit One Bank. Any opinions, analyses, reviews or recommendations expressed on this page are those of the author's alone, and have not been reviewed, approved or otherwise endorsed by any card issuer.